StayAbode, a Bengaluru-based startup that builds co-living spaces, has raised an undisclosed amount in fresh funding from Incubate Fund and a group of real estate investors, a company statement said. Sanjay Shenoy, managing director of realty developer Legacy Global Projects; Mridul Upreti, former joint managing director at property consultancy Jones Lang LaSalle (JLL) India; and existing investors participated in the round. The company plans to invest the capital to strengthen its technology platform and expand the team, the statement added. 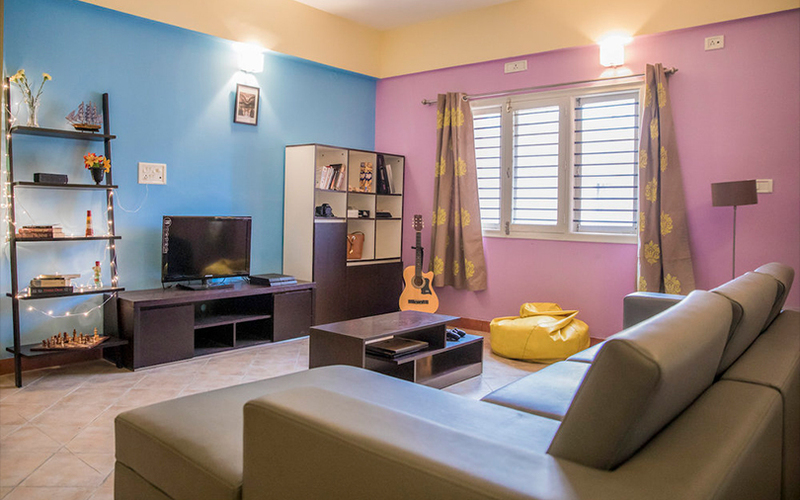 StayAbode builds co-living spaces for the rental residential real estate market, offering small private spaces like fully-furnished one or two BHKs (bedroom, hall, kitchen) with common rooms, games areas, music and art corners. The startup was co-founded by Christ University alumni Viral Chhajer and Devashish Dalmiya, and VIT alumnus Varun Bhalla in May 2016. Prior to starting up, Chhajer worked with food-ordering app Runnr, while Dalmiya was with Roadhouse Hotels. Bhalla previously worked with Treebo Hotels. StayAbode currently offers over 260 units spread over five properties across Bengaluru and plans to expand to other cities. StayAbode claims to increase rental yields from the current 3-4% to 10-11% for property owners. “60% of the migrant population in Bengaluru looks for shared accommodation. Traditional, long-stay PGs are unable to fulfil this demand. The services offered by them do not match up to the expectations of these customers. The spaces are cramped without basic facilities in place. This is exactly the opportunity StayAbode is capitalising on,” Shenoy said. The company had raised angel funding led by investors Ishan Manaktala and Angie Mahtaney in February this year. Gaurav Bhalotia, former vice president of engineering at Flipkart, Vishal Lulla, chief executive at Vishal Exports, and a group of investors from online deal-making platform LetsVenture also participated in the angel round. Incubate Fund is a seed-focused venture capital fund based in Tokyo, Singapore, and Bangalore. The fund has invested in more than 200 startups in Japan and other parts of Asia. It has made six investments in India since entering the country in 2016. Founded in 2006, Legacy Global Projects Pvt Ltd is a Bengaluru-based real estate firm, focusing on luxury residential projects. StayAbode competes with Tiger Global-backed NestAway, Homigo, CoLive247.com, Square Plums, CoHo Stayz and Fella Homes.